BNPP: Long USD Vs GBP, EUR & JPY Into FOMC. Heading into the FOMC we hold three long USD recommendations: vs GBP through cash and EUR and JPY via options*. Our economists expect the statement to present a more upbeat economic assessment. They highlight that data have been generally positive since the committee met in June and some downside risks to the outlook have diminished. June payrolls likely brought relief to the Fed. There has been better news outside the labour market too, particularly with the loosening of US financial conditions post-Brexit. That said, we do not expect any strong hawkish signals from the statement. But against a backdrop of only 5bp of tightening priced for the September meeting, it will not much for markets to get nervous that September is underpriced and for the USD to benefit. If the risk environment weakens as Fed pricing shifts, we see lots of scope for downside in GBP, JPY and commodity FX vs the USD. Barclays: No Signals From FOMC – Focus On Jackson Hole – Strong USD Tone. We do not expect any change in the target range for the federal funds rate in the July meeting, the statement will likely acknowledge the improvement in labor markets and could signal additional progress in its dual mandate, which, consequently, should support expectations for a hike during the rest of the year. We would not expect any explicit shift in the tone in the statement, and think that Chair Yellen will better use Jackson Hole on August 26. In this regard, we would expect the USD to continue trading with a strong tone as markets continue pricing a very low probability hikes in September and December, which according to fed fund futures, stand at 25% and 45%respectively. The most likely change to the statement will be in the first paragraph with an upgrade to the description of the labour market after the sharp rebound in jobs growth in the NFP report released in July. But apart from that, we are unlikely to get much in the way of change in communication from the FOMC. But no doubt any changes will be modest given that inflation expectations measured in the financial markets remain very low. Indeed, the 5yr-5yr forward inflation swap rate at 1.92% as of yesterday is barely above the alltime low of 1.80% recorded when crude oil price hit the lows of the year in February. The longer that continues the more it will bother the FOMC. But from a USD perspective, short-term yields continue to drift higher as the probability of action in December increases. The Brexit-related drop in the 2-year yield has now fully reversed and the 2-year spread over the EZ is quickly returning to cyclical highs close to 120bps that will keep the dollar under upward pressure versus the euro. 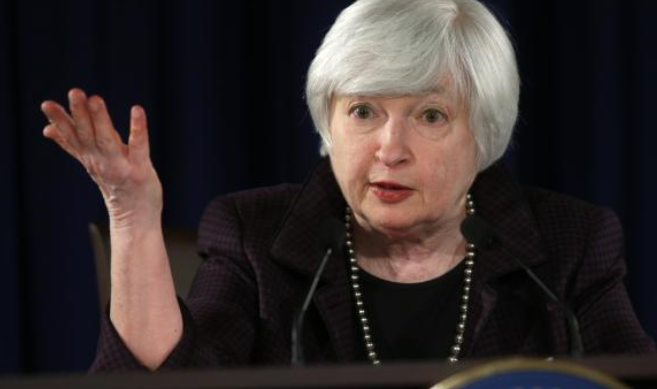 In the US the main focus will be on the Fed monetary policy announcement. Recent FOMC meetings have been bearish for the dollar as the DXY index fell after every policy announcement this year. Despite the strong US activity data of late, expectations are fairly benign going into today’s announcement, with most economists (including our own) predicting an upgrade to the Fed’s assessment of the economy but little in terms of further forward guidance. The Fed faces a dilemma however. Trying to set up a hike in the coming months comes with a risk of data disappointment as the May-June experience has shown. However, if the Fed does indeed intend to tighten policy before the end of the year, and possibly as early as September, it will likely want to see market pricing for hikes improve from current levels. The bottom line that there is little benefit to the Fed from sounding particularly dovish this time and we believe the risks are to the upside for the USD US economist’s base case is that the next hike will come in December with the odds of a September move standing at 1 in 3.
Credit Suisse: Risk Of Hawkish Language – Fed To Proceed With Caution. Since June 24 and the post-Brexit lows in Fed hike expectations, the market has come a long way in pricing in some chance of a Fed hike in September, and a combined 50% chance of a hike in the remaining meetings for this year. The combination of acceptable US economic data of late and well-performing US equity markets has been enough to warrant this in our view, together with the ever present risk that the Fed once again decides to fire off some hawkish language simply to make sure the market is not too one-sided in its pricing (as last seen in April). We view these probabilities as reasonable. Normally we would have an upside bias from current pricing under current conditions, but we suspect that the impending risk event represented by the US presidential election in November is still a factor that will likely encourage the Fed to proceed with caution. Our US economists see recent economic data and the public comments from Fed officials as consistent with only modest changes to the FOMC statement, and we think the committee will upgrade its discussion of the labor market and measures of inflation expectations, but change little else. We continue to see a 25% chance that the committee will raise the funds rate in September and a 40% chance that it will do so in December. The two-day FOMC meeting that concludes on Wednesday will probably hold the door open to rate hikes at upcoming meetings but is not expected to move current market expectations for rate hikes much. If anything, markets may react with a stronger dollar and slightly higher interest rates after the statement is released. At the time of writing, the OIS market is discounting a 30 per cent probability of a September hike and a 53 per cent probability of a December hike. Our forecast is still for a 25 basis point hike in December. In any event, the statement should acknowledge the better data but the modifications will be modest. The July FOMC meeting is not followed by a press conference or updated forecasts for key variables. Morgan Stanley: Risk Reward Fairly Balanced. Our economists expect this week’s Fed meeting to be ambiguous, keeping options open. Market pricing of the probability of a Fed hike this year has moved up to 50%, a level with which the Fed is likely comfortable. We believe risk-reward going into the Fed meeting is fairly balanced, leaving us comfortable holding USD shorts vs EM through the meeting. UBS: On Hold; To Hike In December. UBS expects the FOMC to leave rates unchanged in its upcoming meeting, and hike only in December by 25bps. By that time, the Fed will have a half-year of evidence with which to assess the post-referendum impact on the financial markets and economy, as well as gauge the strength in domestic economy. Our expectation for the Fed to keep rates on hold, but leave the door open to hikes later this year will defend the over-2% rise in the DXY index since the June meeting, but not accelerate it either. Since the meeting, the dollar has responded in part to Brexit-driven safe haven demand, but also a sharp improvement in US data surprises (both on an outright and relative basis), which we expect will lend a somewhat cautiously optimistic tone to the July statement. Markets have quickly rebounded from their knee-jerk reaction to Brexit, leaving financial conditions quite sanguine, so an improving trend of US data will continue to lend the USD support with the market pricing slightly less than a 50% chance of one hike by year-end. Indeed, both real and nominal yield differentials suggest further USD upside. In addition, the USD is still off its highs and generally in the middle of a range giving the Fed some room to respond to improving data and reduced global risks for now absent a significant USD appreciation. That said, outstanding global riskslikely limit the amount 2016 Fed pricing will move, so we believe a more significant repricing of 2017-18 Fed expectations (on consistently better data) is needed to materially move the dollar higher from here in addition to the easing by other central banks like the ECB we expect. Bottom line: in the absence of significant statement changes, FX moves are likely to be limited on the back of the Fed meeting. Since the last FOMC meeting on June 15, the S&P has gained almost 5%, EM bond spreads have narrowed significantly, and while the dollar’s up, it’s gained less than 1% on a tradeweighted basis. ISM, employment, retail sales, new and existing home sales and core CPI have all come in above expectations, even if most of these weren’t spectacular. In another era, there would be massive pressure on the FOMC to raise rates but no-one expects anything from today’s meeting. Still, some acknowledgement of the improved economic backdrop is likely in the statement and the market will go on slowly raising the odds of a 2016 rate hike. The dollar will go on getting support as the whole treasury curve edges higher. One of the main things to watch in this week’s FOMC will be the language on global developments. Back in June, the committee was relatively sanguine about the global backdrop, stating that it continued to “closely monitor” events abroad. Post-referendum Fed speeches played up the increased “uncertainty” but more recently the ECB (closer to the source of uncertainty) has noted the “resilience” of financial markets and even euro area PMI data show limited signs of a fall-out. Our US economists have shifted their call for the next Fed rate hike to June 2017 and inflation is still subdued, allowing the Fed room to be patient; but the forward curve is not fully pricing a hike until Q3 2017 and trade-weighted USD is flat over the last two months (down ~4% from the Jan highs). With data set to show a growth and inflation slowdown in the euro area, it could be time for EUR/USD to surprise by testing the bottom of its 6m range. With the meteoric rise of the US Economic Surprise Index driven by improvement in surprises across sectors, we may see a shift in policy tone from the Fed which advised caution on over-reacting to isolated data surprises last month. We investigate deeper into the sources of improvement in the ESI and find that in addition to positive surprises, data momentum is also picking up, making it more difficult for the Fed to continue emphasizing growth fears. We find that the aggregation in the US raw data surprises has been a good historical indicator for hawkish Fed bias and performs well in trading EURUSD around Fed announcements. With hedge fund positioning suggesting a long USD bias and the US ESI at 2-year highs, we are likely to see a USD bid into the next Fed meeting. The Fed could not have wished for more sanguine financial markets, or a more benign international events calendar and data backdrop. It begs the question: in a volatile world will ‘the ducks’ ever align so perfectly for a tightening, and will the Fed miss their opportunity? Even a dovish FOMC is likely to view the probability of a rate hike this year as significantly above what the market has priced, but will be reluctant to signal far in advance of the Sept. FOMC meeting, for fear that they are forced to retreat again in the face of unexpected data or events. Nonetheless, the evolving Fed rhetoric is expected to support the more constructive USD tone in coming weeks and months. It is expected that the USD could appreciate at least 5% on a broad trade weighted basis, before USD strength would again undermine US financial conditions to the point where it would impact Fed policy, in turn limiting USD strength. Today sees the Fed release a new FOMC statement on the state of the US economy and its plans for monetary policy. While it looks too early to signal a rate hike at the next meeting (Sep 21) it will have to acknowledge better domestic data – which should be represented in a 2.5-2.8% QoQ annualised 2Q16 GDP release on Friday. It looks like powerful QE forces in the Eurozone and Japan will keep US Treasury yields at the longer end of the curve subdued, but we do see scope for a modest pick-up in US rates in the 2-3 year area – which should be generally positive for USD vs low-yielders (particularly Europe). Also we are watching the $ basis at the short end of the curve continue to widen. This may be a function of US money market reform due this October, which is encouraging institutional money to shift from Prime to Government Security funds. In practise this means less cash put to work in bank Commercial Paper schemes and could be leading to USD hoarding. Typically a wider $ basis is associated with USD strength – and this story could be with us into Sep/Oct. Favour DXY to trend towards 98. The FOMC meets on Wednesday, with very low expectations of a policy change. Fed funds futures see only a 10% chance of an increase in the target range for the fed funds rate at this meeting. Only two of the 88 economists surveyed in the Bloomberg poll expect a hike. Recent communication suggests the Fed is in wait-and-see mode and we expect the FOMC to signal this remains the case in the July statement. It would like to assess the US economic data and any potential fall-out from the UK’s vote to leave the EU. Up until now the economic data have been relatively positive, and the financial market reaction to the Brexit vote has been relatively benign. As such, some FOMC officials have signalled that a rate hike later in the year could be on the cards. Nevertheless, the jury is still out. Even though the US economy looks set to have expanded at a strong pace in Q2, this follows two extremely weak quarters. Similarly, strong job growth in June followed hardly any gains in May. Indeed, the trend in employment growth has slowed significantly since the start of the year, consistent with weak demand and shrinking profits. In addition, the rest of the global economy looks to be in bad shape, with growth weak, financial vulnerabilities in emerging markets and political risks in Europe. Markets price in a 45% chance of a hike in December, while the consensus of economists expects a rate increase by then. Our base case is that the Fed will remain on hold until early 2017. 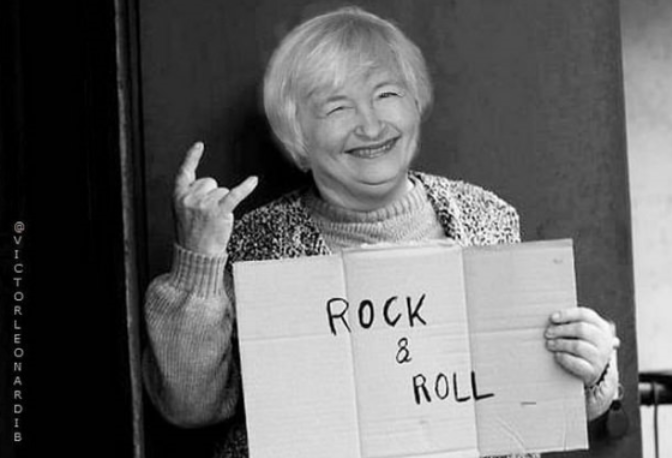 The FOMC meeting is not expected to reveal any policy changes. But the statement (there is no press conference) should certainly acknowledge June’s +287k NFP report after the cautious references to the labour market in the last statement. Observations on the general trends in the economy should remain broadly positive. The Fed’s interpretation of the impact of Brexit is likely to be cautious but so far, the shock appears to have been contained. While the chances of higher rates remain slim this year, a positive statement from the Fed should bolster the recent rebound in US short-term rates somewhat and support the USD. It will reinforce US growth and monetary policy divergence with much of the rest of the G10. The upcoming FOMC meeting is one of the small meetings without new ‘dots’ and a press conference. As it is broadly expected that the FOMC will keep the federal funds target range unchanged at 0.25%-0.50%, focus is on the statement. Even though financial markets have taken Brexit very calmly and the US equity market is at an all-time high, we expect the FOMC to take a cautious stance due to possible negative spill-over effects from Brexit uncertainties. Still, risk is tilted towards a more hawkish Fed given the strong rebound in US data in Q2 (especially on the consumer side). Unfortunately, the FOMC statements do not always send the best signals and we will probably have to wait for the following minutes or new FOMC speeches to get more details about how the Fed sees the economic outlook post-Brexit We expect the FOMC meeting to be neutral for the USD with risks skewed towards a slightly stronger dollar. The 2Y UST yield has room to rise further, which should support the USD. We expect EUR/USD to fall near term with our forecast pencilling in a fall to 1.07 in 3M driven by cyclical and monetary divergence. While the Fed is likely to keep rates unchanged, the post meeting statement will be closely scrutinised to see whether the Fed is edging towards a rate hike at upcoming meetings given recent Fed commentary. Many of the ambiguities that the Fed cited in the June FOMC Minutes – the labour market and Brexit – have cleared following the stellar June payrolls print and limited spillovers from the Brexit vote on financial markets. Ahead of the meeting, the market prices around 14bps of Fed hikes by year-end. We expect few changes to the FOMC statement. The characterization of the economy can be a bit more upbeat than in June, given the generally positive news reported over recent weeks (e.g., employment, ISMs, retail sales). In particular, the strong June jobs report allayed concerns about a sharp slowing in the pace of labor market improvement, and some acknowledgement of the strong June job gain seems warranted (even though the underlying trend in payroll growth still shows some slowing). In addition, the acceleration of economic activity (and particularly consumer spending) in Q2 noted previously in the June FOMC statement is likely to be reiterated (especially given expectations that Q2 real GDP growth may approach 3%, with real PCE rising by perhaps 4.5%). The language surrounding housing (“continued to improve”), net exports (drag has lessened), and business investment (“soft”) all still look appropriate. We also do not believe the characterization of inflation and/or inflation expectations needs to (or will) be altered. For ideas from these banks with stops and levels, check out eFX Plus.